Wy’ East’s goal is to produce high quality wines, manage a sustainable business, and contribute to the economic vitality of the Columbia Gorge, all while having some fun! 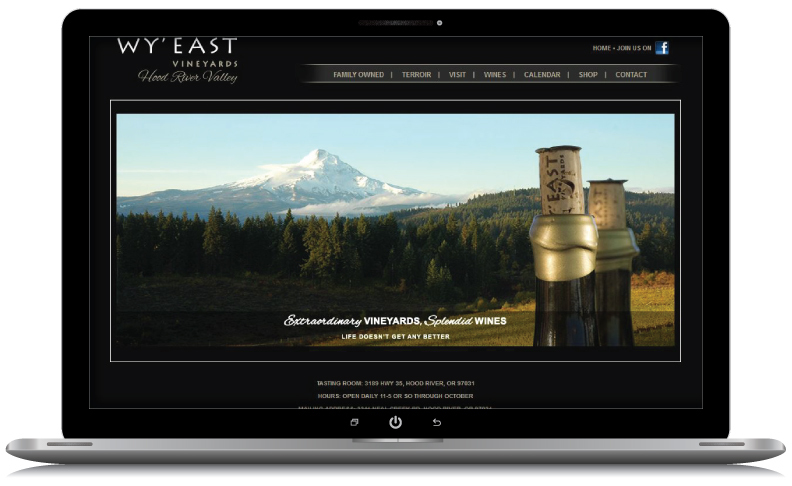 WebRock was tasked with developing an online presence for this local Oregon vineyard. WebRock created a site that highlights the specialties of the company, as well as their commitment to providing quality wine products from their region. WebRock also incorporated additional components to the site to feature tasting room times and seasonal events, as well as local retail outlets to purchase the client’s products.